Manufacturer & Exporter of Kashmiri Saffron. Our product range also comprises of Kashmiri Kesar and Iranian Saffron. 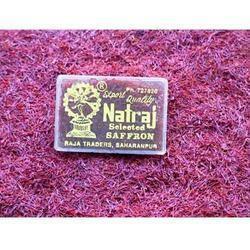 Offered in the market at the most reasonable rate possible, the offered Kashmiri Saffron is known to be highly acclaimed and asked for. Its impeccable effectiveness, shelf life and taste, makes the product one of the finest that are available in the market. In addition to this, the offered range processed as per the set industry norms and guidelines, has its standard of quality highly maintained.